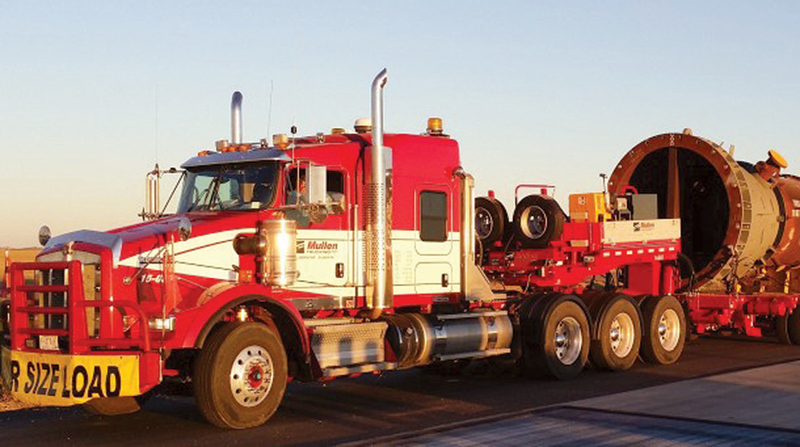 Mullen Group reported strong revenue growth in its Canadian trucking business and expanded its oil field transportation services with a couple of key acquisitions, but the company’s profits dipped in the third quarter of 2018 as it dealt with rising costs and a decline in the value of the Canadian dollar. Based in Okotoks, Alberta, Mullen posted net income of C$21.9 million, or 21 cents a share, on revenue of $339.7 million in the three months ended Sept. 30, compared with net income of $26 million, or 25 cents a share, on revenue of $283.9 million in the same period a year ago. The company’s trucking and logistics business was a bright spot, with operating income increasing 17.3% to $36 million in the third quarter and revenue reaching a record $226.7 million, up 18.9% from the prior year. Some of the revenue growth came from acquisitions and higher fuel surcharges, but the company also benefited from rate increases due to tight capacity in the market and increased demand in western Canada for less-than-truckload and truckload freight hauling. In the oil field service business, gains in revenue and profit were harder to come by as Canadian oil and gas producers struggled with pipeline capacity constraints and uncertainty surrounding negotiations over trade with the United States and Mexico. Oil field services generated operating income of $21.6 million in the third quarter of 2018, up 9.1% from $19.8 million a year ago. Revenue rose 22.3% to $114.5 million from $93.6 million. In February, Mullen acquired warehouse operator DWS Logistics and later added two companies to its oil field services business with the purchase of AECOM’s Canadian Industrial Services Division and Canadian Hydrovac Ltd.
Mullen said he is hopeful that the new trade agreement with the United States will alleviate the uncertainty felt in the business community and that recent government approvals of new LNG terminals will spark new investment in Canada. “If we can just get our crude oil to markets, other than the United States where Canada’s oil is sold at a discount to U.S. refiners, then the oil and natural gas sector of our economy will be an engine of growth and job creator once again,” Mullen said. Mullen Group ranks No. 52 on the Transport Topics Top 100 list of largest for-hire carriers in North America.